Mount Olive has several small groups which meet during the program year. Newcomers are always welcome. Jump on board the Mount Olive bus to see the Twins take on the Chicago White Sox on Friday, May 24! We have reserved 55 seats in the lower deck and a coach bus which will leave Mount Olive at 4:15 pm that day and return at the end of the game. The seats are at field level so there are no steps to access the seats. The cost for the ticket and bus is $53/person. A special bonus is that May 24 is Joe Mauer Bobblehead Night, so you could go home with a special souvenir. Guests are more than welcome. Sign-up and get your ticket order envelope at the entry way table. The deadline is May 3rd. Plans are coming together for lots of fun Adventure Club activities this year. 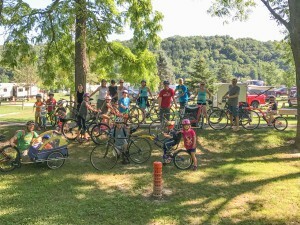 The Mount Olive Adventure Club is a diverse and dynamic group that explores a wide array of activities, everything from concerts to campouts, bike rides to hockey games. Events are intergenerational and family friendly. Members, visitors, and friends are all welcome! The Monday Book Group gathers to discuss a wide variety of literature including classics, fiction, poetry, humor, memoirs, history, mystery, Minnesota authors, and youth inspired works. Individuals are welcome to discuss one book or attend every month to discuss them all! We have leaders volunteer each month to lead the discussion. The group meets in the Mount Olive library the second Monday of the month at 6:30 pm. Please join us for some wonderful discussion and fun! If you have any questions, please contact Jodi Schoer. Traditionally, Fellowship Tables have been groups of seven to nine adults that meet three or more times during the program year to share a meal and fellowship in homes. In recent years, we have added Restaurant Tables, a group that has their meals in restaurants. Once again, this year there will be both options for Fellowship Tables. These groups are all a great way to branch out, meet new people, and bond with long-time friends without a huge time commitment. Restaurant and Home Fellowship Tables are formed for one program year and are open to adult couples and singles. Please indicate your preference for one of these groups on your registration form. Pick up your forms at the information table in the entry or in the Gathering Area and return by October 21. Each group will have a volunteer organize their first meeting. Most groups will begin gathering in November, but anyone may join in any-time during the year. Following the first meeting, the group sets its own schedule for the remainder of the year. Direct any questions to nancy@molive.org. This multigenerational group meets on Saturdays at the church from 8:30-9:30 a.m. and seeks to develop meaningful relationships and a better understanding of what it means to be disciples of Christ. This gathering focuses on scripture or a book that helps us to walk closer to the Lord and to our families, and encourages us in being disciples of Jesus. Come as your schedule allows. If you have questions, you can talk with Mark Masbruch, Paul Johnson or Mark Schoer. Prayer Shawls are knit or crocheted in prayer and given to those in the midst of a health crisis or personal need as a symbol of God’s comfort and care. All knitters and crocheters are invited to gather at 9:00 am on the second Tuesday of the month. Yarn, treats, guidance, wisdom, support, and humor are shared! For over 25 years, the Mount Olive Quilters have met to make large(full-size) and small (baby) quilts. Annually, they make 75-100 large quilts and the same number of baby quilts, which are donated to Lutheran World Relief, Pine Ridge Indian Reservation, The Rochester Women’s Shelter, the Dorothy Day House, and several other organizations. Contact Elaine Monson if you would like to get involved with this ministry. Quilters meet weekly on Thursday mornings at 9:00 am to tie quilts. No sewing is required to join in. Packets of squares are available to be sewn at home. The Rochester church softball league begins in May every year. Co-ed games are played on Tuesday evenings at McQuillan Fields and last one hour with lots of friendly competition. Players ages high school through adult are welcome to join the fun. New players are always welcome and needed, come join the fun. Spectators are always welcome! Watch for the sign up in the Gathering Area in early spring. There is a participant fee of $25 to help defray the cost of team registration. For more information contact Team Manager, Jason Sinnwell or Nancy Britson nancy@molive.org. Congratulations to the Mount Olive softball team for their exciting win in the 2017 Church League Playoffs! They came from third place at the end of the season to win the summer championship. Spiritual Companions are a group of Mount Olive members who visit with our most vulnerable folks – those homebound or in need of extra support due to illness or life circumstances. The group meets together a few times a year to assess individuals needs. The companions meet with their assigned member on a schedule that works for the parties involved. Sometimes something as simple as a shared cup of coffee means a lot! If you’d like to know more about this important ministry for yourself or know of someone in need of companionship, please contact Pastor Glenn Monson, glenn@molive.org or call the church office– 288-1580. Requests are kept confidential. 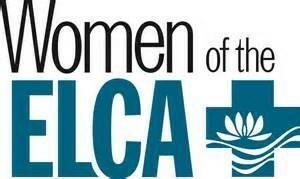 All women of the congregation are automatically members of Women of the ELCA, and are invited to join a monthly circle group. There are a number of circles, meeting at a variety of times. 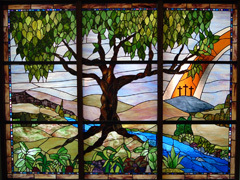 In addition, each year the Women of the ELCA plan Fall, Christmas, and Spring events for all the women of the congregation.